If you happen to be a bird enthusiast, this title might resonate with you. They might not need taking for a walk, or require the type of attention that more “conventional” pets require, but there’s no doubt that the maintenance issues attached with pet birds are high to say the least. 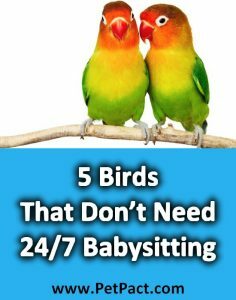 Some might even suggest birds are the hardest type of pet to keep. Most species not only require constant attention, which should be par for the course anyway, but they require specially cooked meals amongst a whole host of time-consuming tasks. Fortunately, there are some which don’t fall into this category. While you’re never going to find a bird that is maintenance-free, there are some which are much easier to look after than others. Interested? Here are the five that make the cut in our eyes. This is probably the best choice for anyone who doesn’t want to spend hours every day with their bird. The fact that canaries are not the best when it comes to handling makes them a good choice here and it means that the time they require is immediately cut down. 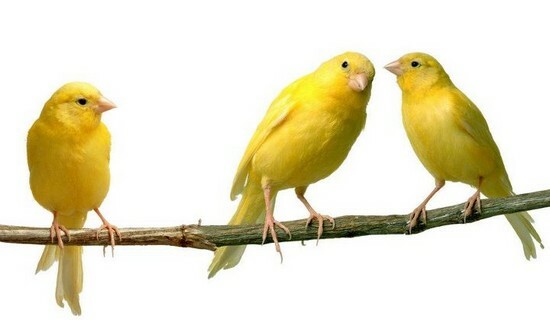 Instead, a canary would much rather simply just watch and interact with their owner – which just makes life a lot easier for you. This is a bird which does require more exercise than most though and if you are looking for the easy life, this means investing in a substantial cage which will keep them entertained. In terms of their feeding, it doesn’t get much easier. Most canaries are more than happy to feed on pellets, alongside a small amount of green vegetables such as fresh sprouts. It’s rare to find a parrot that can be classed as easy, but this is exactly how the Pionus Parrot can be described. A lot of people don’t keep these as pets purely for their appearance; in short, they just don’t have that wow-factor that most other parrots have. They’re by no means bright but arguably, this is compensated by their personality which is quiet but loving. In terms of their diet, this is just like the budgie. Pellets should suffice, along with fresh fruit and vegetables to compliment. 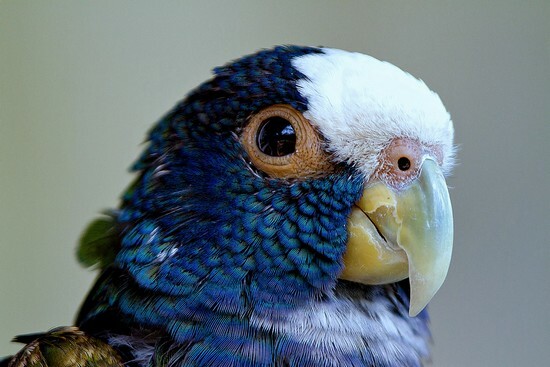 It would be fair to say that the Pionus Parrot is not one of the most popular around at the moment but if looks aren’t everything, and you are looking for a parrot who will provide you an easier life than most, this should be worth considering. A slightly more conventional and popular choice for bird owners comes in the form of Parakeets (or budgies). This is quite an interesting choice when it comes to the easy life as while budgies can provide this, they also give their owners plenty of pleasure which you would usually associate with a lot of maintenance. Budgies are quite happy to be held, while a lot of owners will train them and teach them to speak. It means that you can create a really strong bond with your budgie but at the same time, the bird likes its own company which means it isn’t going to eat hours of your day. The diet to satisfy a budgie is as easy as it gets as well. Again, you’ll need to prepare some fresh fruit and vegetables, which should sit alongside extruded pellets. These extruded pellets are particularly important as budgies need the additional vitamins that are missing from many bird diets. The only thing that might eat away some of your time is a budgie’s exercise requirements. While you might be able to get away with a large cage, a lot of budgies do need to be let out for at least a couple of hours. We should also put a point out there about their cleaning requirements. 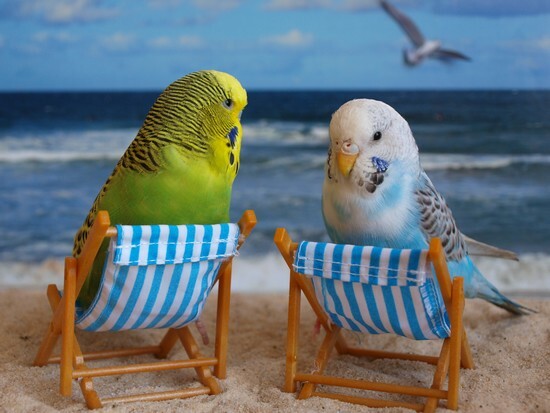 In comparison to other breeds, budgies are one of the cleanest out there and naturally this cuts down maintenance time. There’s no doubt that Cockatiels have quite a bit of maintenance attached to them, yet still in comparison to other species they are a walk in the park. With a lifespan of over twenty years, this colorful bird is a favorite and is often considered by beginners. However, their exercise requirements are something which might put some people off. Few would disagree that this is one of the more intelligent birds around and Cockatiels simply love to explore and play. It means that plenty of toys are an absolute-must in the cage, but at the same time you should prepare to let them out of the cage for several hours each day. 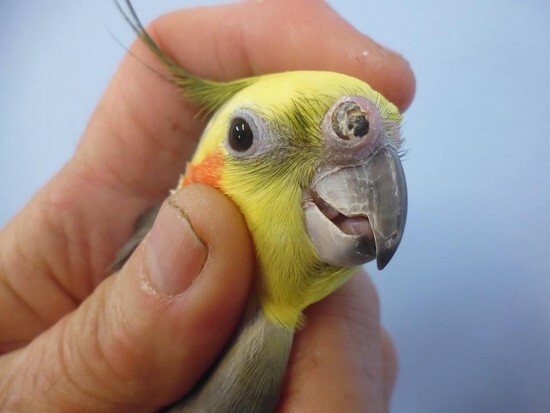 This is a bird which isn’t entirely comfortable with handling, although over time many owners do make gains and get the Cockatiel used to this. Nevertheless, it means from a general maintenance perspective, Cockatiels immediately don’t require the time that a lot of birds crave. It could be said that the feeding requirements of the Cockatiel are slightly more relaxed as well. Again, good-quality pellets and seeds are recommended, but most owners will only provide fruits and vegetables as a treat or on rare occasions. Some people may also hand them supplements, but on the whole the feeding requirements for this bird are very simple. In fact, most areas of upkeep for the Cockatiel are simple. If you can ensure that you can provide sufficient exercise, which is the main barrier to most prospective owners who are looking for an “easy” species to keep, this could be a very wise choice for you. 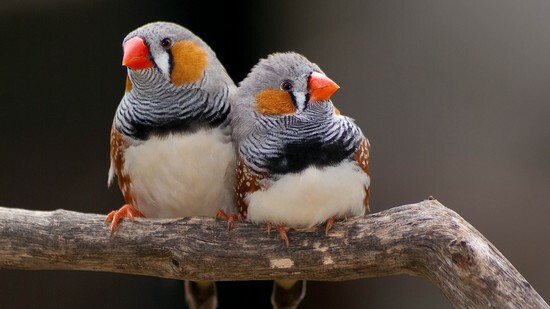 We’ve left this species to last, as few people would disagree that finches are one of the easiest birds to breed out there. Sure, you need to get the basics right from the start, such as an appropriate cage, but once this is in place they really do provide an easy life for owners. 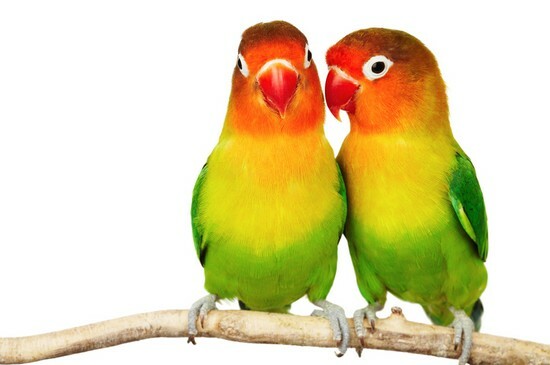 The fact they are one of the most popular, and cheapest birds, adds to their appeal and makes them a firm favorite amongst pet owners. Despite their lack of maintenance requirements, this is a species which is still very sociable. In fact, some might suggest that finches are so sociable that it’s best to keep them with another bird as this is where they really excel. If you do choose this option, you should be aware that finches, particular Zebra finches, are prolific breeders. It might take some time to develop a bond with your finch and many are not keen on too much hand interaction. Instead, they will tend to interact through talking and will respond with songs of their own. There are multiple care requirements depending on the type of finch that you acquire. For example, Zebra finches prefer to have organic grass in their cage due to their origin. On the flip side, Gouldian finches like to be surrounded by eucalyptus branches as they enjoy nibbling the leaves. On the whole, due to the various types of finches that are on offer, a lot of research is required before choosing which is correct for you. As we’ve pointed out, the whole species is easy to care for though – perhaps the easiest of the lot.